"By far the best decision I've made this year. I was nervous at first about learning a martial art but I've got to say the class is incredible. Always pushes you and the classes are always welcoming and friendly." 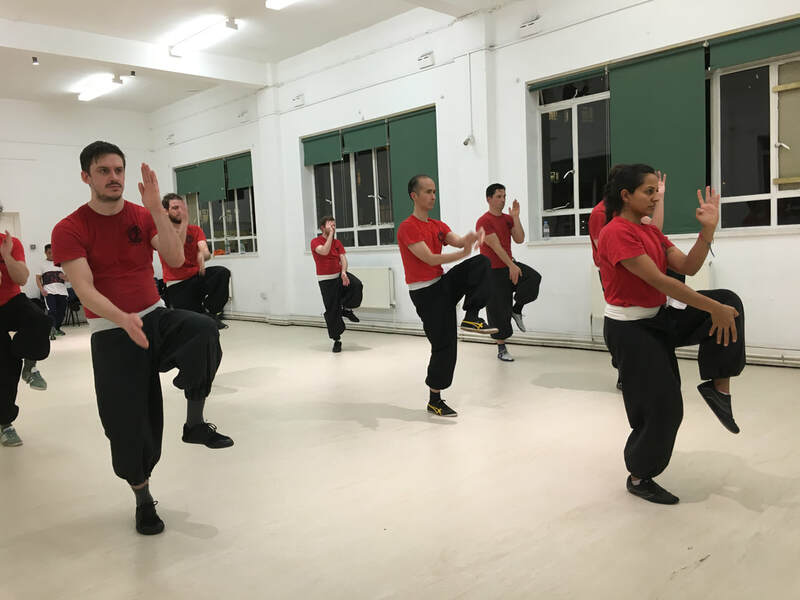 Tiger Crane Kung Fu is a traditional Kung Fu club based in Shoreditch, London. We are very close to Islington, Hackney and the City of London. We teach two complimentary systems of Kung Fu that are believed to have originated from the Quanzhou Shaolin Temple. The Tiger Crane Combination Kung Fu system and the White Crane Soft Style Tai Chi System known as Suang Yang. Both of these systems that we teach are from the lineage of Master Ang Lian Huat who taught these systems in Singapore after fleeing China. In addition to this, we teach a full system of Qi Gong known as the Damo Qi Gong Form. This is believed to be the original set of exercises that was taught by the Buddhist Monk Damo (Bodhidharma) to the Shaolin Monks, which they later developed into the first style of Kung Fu. The Tiger is strong and courageous and this element of the training emphasises strengthening the practitioners bones, joints and tendons. You will develop strong dynamic rooted stances and core strength to match. This strength will allow you to deliver multiple long and short range strikes to devastating effect. The Crane is graceful and agile and this element of the training emphasises evading and yielding. You will learn how the soft overcomes the hard and how to cultivate internal power. The Crane is famous for its fast footwork and for using its beak for pressure point striking. 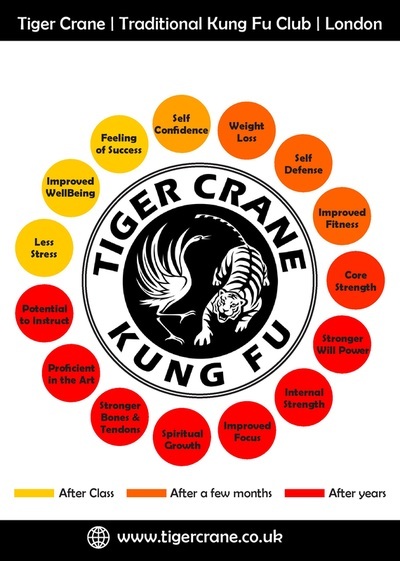 The Tiger Crane syllabus creates a well rounded practitioner who is proficient in the soft and hard principles of Kung Fu. This will then translate into every aspect of your day to day life making you a well rounded and successful person. Learn a Deadly Martial Art the Soft Way. Learn Meditation, Qi Gong, Push Hands and the Full Suang Yang Tai Chi Form. Bring your Child to Class and let them Discover Who They Are and What They Can Do. Self Defence, Fitness and Fun for Children! "This is a fantastic kung fu club. A fun and friendly environment, where you get fit fast! The instructor is a great teacher - not only knowledgeable but also very approachable. I always feel great after each class and take away something different each time whether it be about kung fu fitness or kung fu philosophy. Plus the other students are great to train alongside and it's just a great supportive atmosphere. Exactly what I was looking for :)"
"If you have ever wanted to learn a martial art, this is a great place to start. I've been training at this club since it started and each class gives me a great work out, both physically and mentally. A great mix of self defence knowledge and traditional Chinese Kung Fu. Everyone in the class is a joy to train with, always helpful and friendly and the instructor is extremely knowledgeable and always willing to share that knowledge. The Salvation Army hall is also a very nice space to train in, bright and clean." 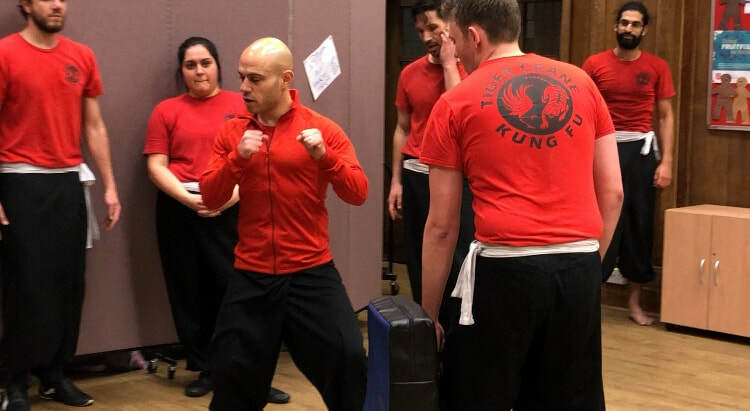 "This is an amazing place to learn this kung fu system.I think the best days of the week are when I get there, it makes my body/spirit feel so good and I just want to learn more and more each time. As a novice, I recommend the Tai Qi lessons as well, they complete the kung fu lessons in that you get to know and feel your own body better. Great instructor, and I just love the spirit of the lessons." "By far the best decision I've made in 2016. I was nervous at first about learning a martial art but I've got to say the class is incredible. Always pushes you and the classes are always welcoming and friendly." "Fantastic club. Extremely well taught by a highly experienced teacher. A great way to get fit, take your mind away from the daily routine of life and focus on your own development with this brilliant style. And also make some friends along the way - everyone is really friendly!" "Amazing place to learn & train, I wish I found this earlier. Very friendly atmosphere with a perfect workout for mind and body. The instructor is a great teacher with a lot of knowledge of martial arts. I always looking forward to the next class ;)"
"If you ever wanted to learn a martial art, this is the place. 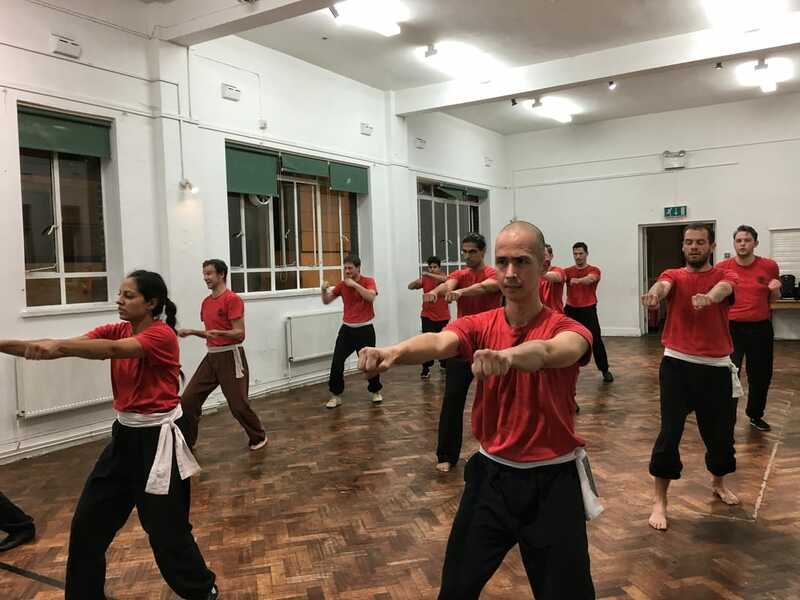 Kung fu will change your life in profound ways, but even if you only wanted to look better, feel fitter and get flexible, the sessions and welcoming atmosphere here make this the place to be. There's no better way to make a positive transformation in your life. All you have to do is show up." "I've been training at this club for few months. In such a short amount of time, I was able to feel the benefits both physically and mentally. This Kung Fu system is interesting to learn and practice, with endless possibilities, which motivate to learn more and more. The instructor is knowledgeable, supportive and makes sure you're always progressing. Since the first class, I felt part of an amazing group of people training in a positive atmosphere. I strongly recommend this club to anyone interested in the benefits of martial arts practice." 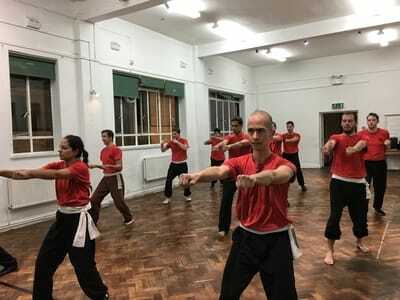 "Tiger crane is much more than just a Kung fu club, it's a family, led by an instructor who cares about each member and has vast skill and knowledge of Tiger crane kung fu and tai chi. The group who trains at the club from the seniors to the newcomers are all good people with good values, humility, respect, hard work amongst other attributes. Coming here has honestly changed my life in a really positive way, I would recommend this to anyone, so what are you waiting for?"